Fitness Queen, Emily Skye is best known for her athletic, healthy body. She is a professional model, fitness expert, and wellness coach promotes mental health awareness and healthy living. Besides modeling and fitness trainer, she has experienced in TV hosting, acting, editorial, runway, film, and photography. She is recognized globally as the winner of WNBF Miss Figure and Fit Body (2011). Forbes listed Skye in its Top Fitness Influencer in the World, where she ranked number 3. Emily Skye Anderson was born on January 7, 1985, in New South Wales, Australia. She was only two years old when her father left her mother, Amanda Anderson, Australian contemporary realist artist. Skye and her sister, Elisa was raised by their single mom. Skye used to be idle and was quite disturbed in her teenage. She used to live an unhealthy life and also suffered from depression during her teenage. Emily started modeling when she was 15 years to avoid insecurities and to find her self-worth. Emily Skye, an Australian Model, began to work on the popular magazines of Australia at the beginning of her career. She kickstarts her modeling career in 2005, where she posed on an advert for Aero Chocolate, featured on billboard and buses. She appeared in various ads, TV shows, and music videos. She introduced herself as Catwalk model in the early phase of her career. She loves every aspect of modeling and believes that modeling is a part of art and it needs creative input. Emily Skye, fitness guru, is always interested in the healthy, active and positive lifestyle. 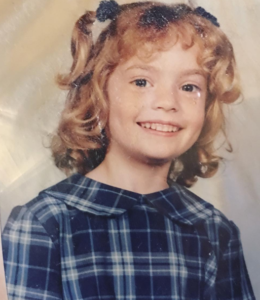 In the early days of modeling, she used to focus on her look only. Skye used to live an unhealthy lifestyle and was unhappy with her was of living. Nevertheless, she began to work hard to achieve proper gesture with a healthy body. She maintained her body with proper diet and daily exercise routine rather than daily gym habit. Emily began her fitness training after 11 years of modeling and concentrate in fitness modeling. She took part in a cover girl competition for the Australian Oxygen Magazine and came up to top 5. She entered in her first figure and Fit Body Competition on September 2011 and became the winner of WNBF Miss Figure and Fit Body. Prior to becoming fitness expert, she was not much satisfied and happy with her physical appearance. She wanted to be a fitness model rather than an unhealthy and skinny model of the ramp. So, she learned fitness training and later became the famous fitness trainer through her regular passion and dedication to gain perfectly healthy and beautiful body. Emily is inspirational for lots of women who wants a fit and healthy body. The incredible shape of her body and the well-maintained figure is the attraction of million of viewers. She has worked on the cover pages of Oxygen, Women's Health and other several magazines. On February 2013, Skye launched her own brand 'Emily Skye 30 Day 2 Shred,' which is basically based on fitness, diet, and weight loss tips. She has more than 2 million followers on Instagram. Emily, fitness icon, usually posts a make-up-free picture and give pose on her stunning, hot figure. She provides tips on how we can make yourself healthy regarding both physically and mentally.She has worked hard to achieve success in the journey of fitness. The beautiful diva, Emily Skye is currently dating Declan Redmond, who is very supportive towards her work. He is also one of the reasons behind her success. She reveals her love of her life on her Instagram page giving her success credit to him. She has managed to balance her personal and professional life systematically and is happy with her life. Emily has weight, 58 kg, and height 5' 8". She has catchy eye figure and perfectly lovely smiling face. She loves doing different methods of exercise to get into proper shape. She follows healthy diet routine which consists lean meats, fish, egg, brown rice, rolled oats, green vegetables and beans. She likes snacks, rice cakes, and almonds and prefers green fruits. According to Emily, she is inspired by many people every day who believe in themselves and overcome difficulties throughout hard efforts. Jamie Eason, Lindy Olsen, Nina Silic and Erin Stern are some of the names of the idols that she is inspired by. Emily, the lady with an athletic body has inspirational journey toward fitness which is remarkable and motivational towards many people. 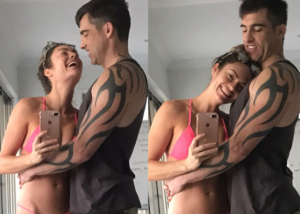 Emily Skye came into the limelight when she had the court battle with Steven Evans, husband of Ashy Bines, founder of Ashy Bines Bikini Body Challenge. The war between fitness guru, Emily and Gold Coast diet queens, Ashy started in 2015 when Steven Evans claimed in Supreme Court that, according to their partnership policy, he would be paid at least $7000 a week but Emily promote her personal websites to redirect customer rather than their joint companies. She was dragged into controversy due to the disputes between close friend Ashy Bines and business partner Steven Evans. However, she denied all the allegation in court.